On the second spread, the text structure of the text type is deconstructed using colour-coding. On the third spread, selected language features of the text type are highlighted. Teacher Focus notes appear on each spread, featuring key teaching points and teacher talk related directly to the text structure and language features of the text type. 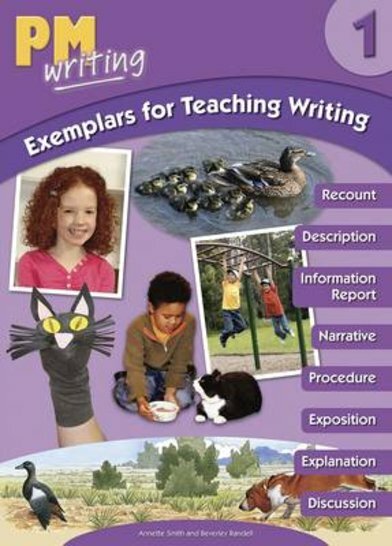 PM Writing 1 Exemplar for Teaching Writing big book also comes with an IWB CD-ROM inside.